Where else, if not here, is the need to assure building quality and precise time management an overriding objective. Because every day "without business" is always bad business. We therefore rely only on very experienced construction managers who use their professional experience and innovative skills to plan the refurbishment, conversion or new building work and to directly manage these activities on site. However, the best planning is only worth as much as the information available concerning the nature of the building work. However, practical experience has shown that unforeseeable problems may occur - particularly in the case of old buildings. This means that a further key guarantee of success is that the team must consist of motivated team players who are experts in their particular field and who are thus able to operate beyond the limits of their own speciality. This is because the most effective problem solution is achieved by professionals who are able think outside the box. We translate your objective into reality throughout Germany. As a general contractor, we work with permanent and experienced partners in every region. 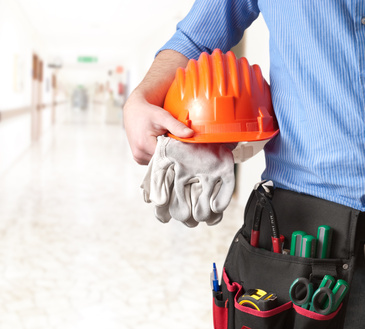 Do you wish to involve tried-and-tested construction contractors or tradesmen in your project? No problem! Because our recipe for success is: Prices and services are transparent and extremely competitive.